Greetings, Starfighter! You have been recruited by the Star League to defend the Frontier against Xur and the Ko-Dan Armada. Today on GeekFest Rants, Carlos revisits the 80's cult-classic, The Last Starfighter. This CGI effects groundbreaking film will always have a place in our appreciation of special effects development. We'll cover the film, the toys(specially those that never came out), the Marvel comic book adaptation, and the possible future of this film. Let's return to 1979 Saturday morning cartoons to the Flash Gordon inspired line of Mattel action figures. Yes, before the awesome 1980 Sam Jones campy movie of the same name, Flash Gordon had a Filmation produced cartoon series. Today on GeekFest Rants, Carlos looks at the action figures produced based on this show. Plus we have breaking Star Wars news on all fronts, film, television, and theme parks. Star Wars: The Last Jedi is right around the corner and new movies, a live action TV show, and Star Tours changes have been announced. And finally we take a look at Movie/TV glassware collecting. We're talking about Burger King Star Wars glasses and other franchises like Star Trek, E.T., Superman, Indiana Jones, etc. Tags: adventure, Burger King, Carlos Perrone, comic books, Dale, entertainment podcasts, Filmation, films, Flash Gordon, Geekfest Rants, geeks, genre, horror, Indiana Jones, Mattel, Ming, movies, nerds, pop culture, Return of the Jedi, Rian Johnson, Saturday morning cartoons, sci-fi, science fictions, Solo, Star Tours, Star Trek, Star Trek, Star Wars, Superman, television, The Empire Strikes Back, The Last Jedi, toys, E.T. What's good on TV these days? Well, if you are into genre geek entertainment, you come to he right place. 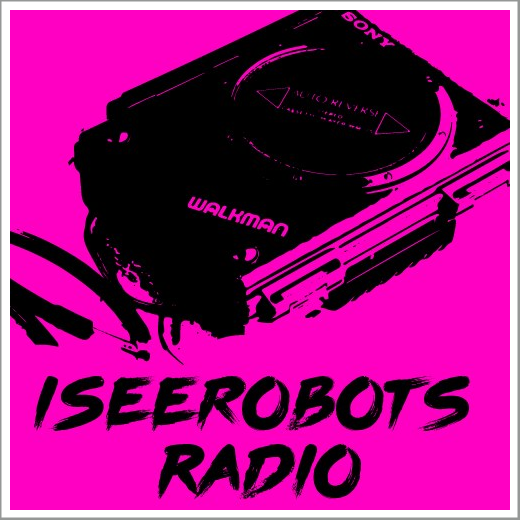 Join Carlos at GeekFest Rants, and learn about his top 3 current favorite shows. We'll go from David Fincher's creepy Mindhunter, to the latest Star Trek incarnation - Star Trek Discovery, and to family favorite 80's nerd spectacular Stranger Things. Also we are going to wish ourselves a belated happy 7th anniversary (insert party horn sound) as we go back in time and peak behind the curtain into the making of GeekFest Rants. Get ready to have a Totally Tubular time. Today on GeekFest Rants Carlos will Rant about the new movie he saw, It Comes At Night. Is it a great movie? Is it confusing? Is it worth a second viewing? Are the critics right or wrong? You will find out.....maybe. And while talking about second viewings, we'll list some very good movies that we really don't want to re-watch. Then we'll take a trip to the Pandora, the World of Avatar. This new Disney - Animal Kingdom attraction might just have the best theme park ride ever. As well as very tall skinny blue inhabitants. Plus, we take a ride back to 1984/85 to re- write a wrong in Carlos' time traveling timeline...... a missed Hall and Oates concert. This past week we corrected that injustice in nerd 80's pop music history. It's finally here, Star Wars Celebration Orlando 2017. Join the Perrones and GeekFest Rants as they take their pilgrimage to the land of all things Star Wars. Happily slip into a 4-day geek induced coma of Lucasfilm/Star Wars movies/TV shows/video games/ and toys, many toys, lots o toys, we're talking toys here. Then Carlos takes a side trip to the retro-VHS world of Indiana Jones and Star Wars videocassette films. Then we cap off this show with a look at Conan the Barbarian action figures. Conan will explain to us what is good in life while he get's to the chopper. It's that time of the year where we get all ready for the Super Bowl. Nothing brings out the crowds like those Super Bowl Trailers and Spots. 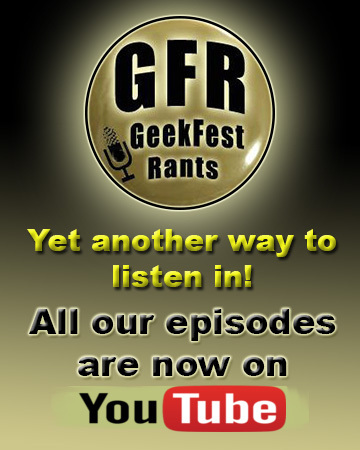 Join Carlos and Kyle at GeekFest Rants as they fast forward through what I'm told was a really good football game in order to get to movie and TV show trailers and spots. Some of the night's winners include Logan, Ghost in the Shell, Stranger Things, Guardians of the Galaxy-Vol.2, and Pirates of the Caribbean: Dead Men Tell No Tales. So grab a beer, set up your favorite lawn chair, and welcome to the Super Bowl Trailer Park. How big of a Star Wars fan are you? If you are a big fan and into the merchandising side of Star Wars, with its toys, books, comics, trading cards, etc., then you might know the name Charles Lippincott. Today on GeekFest Rants, Carlos helps you discover the amazing world of the Lippincott files. 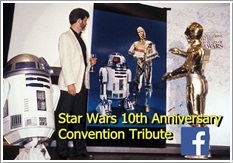 Join us as we visit the incredible archival facebook page of this legendary Star Wars merchandising and licencing guru. They say Star Wars wrote the book on how to sell products from a film and this man was there putting those deals in place. He also worked on Conan the Barbarian, Alien, Judge Dredd, and Flash Gordon.